Marie Betts-Johnson, Founder and Director of the International Protocol Institute of California® and is a renowned expert in the International Protocol and Business Etiquette industry. 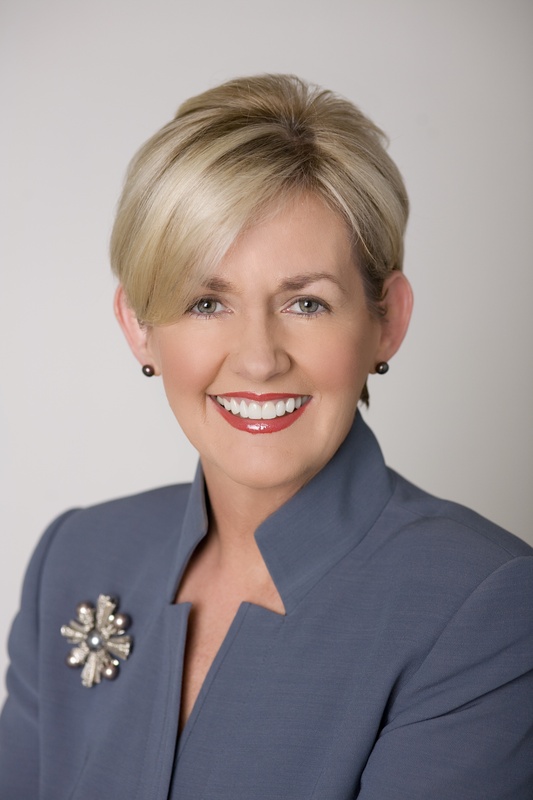 Originally from Tipperary, Ireland, Marie is based in San Diego, California and established The International Protocol Institute of California® in 1989. She is an internationally recognized consultant, speaker and columnist and has taken from her experiences and distilled them into the design, development and customization of hundreds of training programs, seminars, keynote speeches, individual coaching and train-the-trainer programs. Director, International Relations Office, World Trade Center San Diego, California. Ms. Betts-Johnson was the Director of the International Relations Office, World Trade Center San Diego, CA where she established an extensive outreach program to encourage delegations to the San Diego region. Her primary function was hosting royalty, ambassadors, international delegations and dignitaries, which required highly-developed diplomatic protocol Skills. Her office acted as a clearinghouse for international delegations and dignitaries requesting to connect with public, private, cultural and educational organizations in the San Diego region and in effect, creating a connection between culture and commerce. She assisted companies and organizations with their protocol and cross-cultural understanding challenges and delivered protocol programs on behalf of the World Trade Center San Diego. Her role further included facilitating strategic connections on behalf of the membership and orchestrating world class events and roundtable meetings. Director, World Trade Institute San Diego, California – She was the Director of the World Trade Institute San Diego and oversaw the management of the Internship Program. She established outreach marketing strategies to attract the best and the brightest candidates from local and worldwide universities. With hundreds of applicants per year, it was essential to streamline the interviewing, recruitment and orientation processes to ensure they obtained the greatest benefit from their world trade internship experience. United Nations, New York – Ms. Betts-Johnson created a customized diplomatic protocol program on behalf of the United Nations “Resident Coordinators” Induction Program. This training program facilitated their understanding of the cultural, diplomatic and social aspects of dealing with dignitaries and citizens when at post in their host countries. Royal Family of Jordan – Prior to founding the Institute, she served two years on the staff of the late King Hussein and Queen Noor of Jordan, where she had the opportunity to host and interact with dignitaries and royalty from all over the world including the royals of England, Spain and various Middle Eastern countries. Washington Diplomatic Corps – During their visit to San Diego to review the proceedings at the Republican National Convention, she acted as the Protocol Coordinator to ensure a world class experience for ninety-eight Ambassadors from the Diplomatic Corps in Washington D.C.
Programs Created for U.S and multinational companies – Ms. Betts-Johnson has presented hundreds of programs covering regional and country- specific culture and protocol norms, some of which include… Malaysia, Indonesia, Japan, China, India, London, Switzerland, Germany, Jordan, United Arab Emirates, Mexico, Argentina, Peru, Paraguay, Colombia and the United States. Profiled in Publications and Media – Her expertise has been profiled in publications such as, RSVP Magazine, Ireland, Dental Abstracts, Official Publication of the Pierre Fauchard Academy of Dentistry, Success Magazine, The San Diego Union Tribune, La Jolla Light, Rancho Santa Fe Review, San Diego Business Journal, Palm Beach Daily News and The San Diego Regional Chamber of Commerce Member Business Action Publication. She is a regular guest on local and national radio and television stations including KPBS, KUSI, Fox Channel 5 and ABC Channel 10. Her articles have appeared in numerous magazines and newspapers, including Business Munster (Doing Business in China), Business Options, Student’s Book, Oxford University, England (Doing Business in Japan), National Speakers Association Magazine (Internationally Speaking), and the San Diego Business Journal. She has contributed her expertise on business success and international protocol to books and publications including A Woman’s Way to Incredible Success in Business by Mary Ellen Drummond and Protocol for Profit, A Manager’s Guide to Competing Worldwide, by Carl A. Nielson. Ms. Betts-Johnson was a senior Bank Official in the Trustee Department, Bank of Ireland where she managed portfolios of investments for her clients. She earned her degree in Marketing and Public Relations from the Louise Salinger Academy, San Francisco. She is a passionate mentor of young graduate students embarking on their careers and is a visiting lecturer at the University of San Diego, California. She is further certified in Event Planning from George Washington University. Ms. Betts Johnson has served on several boards including the Tijuana Sister Cities, American Cancer Society, Irish Network Organization, the Ireland American Fund, National Speakers Association, Toastmasters International, Women in World Trade, The Vista Hill Foundation.